Oh, my goodness! November, you snuck up on us incredibly quick! It seems as if we blinked & suddenly the Fall weather turned into “bubble coats and mittens” weather in the blink of an eye. Brrrr! October was a jam packed month for our design studio - beautiful Fall weddings in the Indianapolis area, a handful of new client meetings for the upcoming 2019 wedding season, and a beach vacation for our family in Destin, Florida. That little getaway was just what we needed for a recharge and refuel for this final homestretch of 2018 weddings & the holiday shopping season (hello, updated Shopify site! We're looking at you!). Our last client wedding of this year will be this weekend at The Lindley Farmstead at Chatham Hills. Have you seen this beautiful new venue? This is far from your "burlap and lace" downhome barn wedding. This breathtaking barn venue just north of Indianapolis is a new and great venue option for brides to be. If you're currently planning a 2019-2020 wedding in the Indianapolis area, I hope you'll check it out! We will be rolling out these new products slowly over the next month, as we continue to work on samples and product photos. We’ll be spotlighting them just in time for the holiday shopping season. We can’t wait to introduce you to our latest additions! Be sure you’re also following us on Instagram – we are always sharing behind-the-scenes photos and videos in our IG stories, as well as professional photos of our latest work. We love connecting and hearing from all of you! Fall & Winter Brides, It's Time To Order! 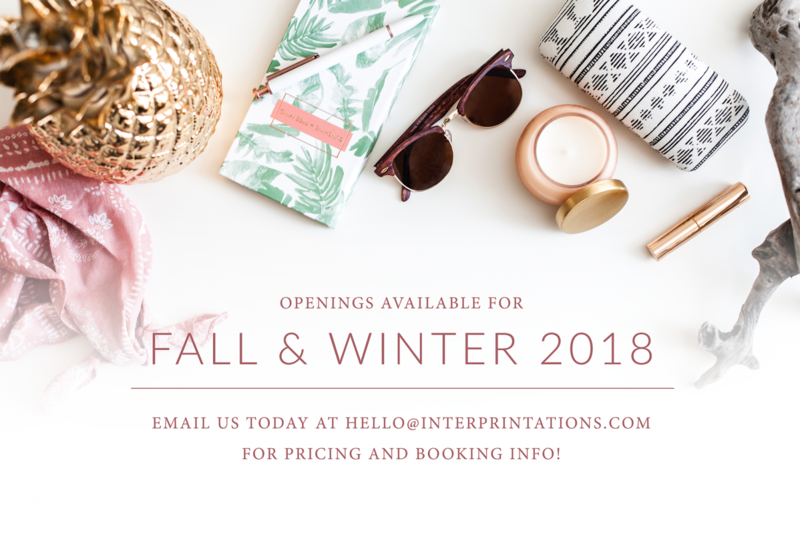 If you're a Fall or Winter 2018 bride, summertime is the perfect time to start planning out your wedding invitations. Invitations are obviously a giant piece of the wedding process, so let's get the process started sooner, rather than later. We have a small handful of spots left on our production schedule for the latter part of 2018. We have price points for wedding budgets of all shapes and sizes - let's get together for a cup of coffee and see what we can do for your big day! NOTE: We book clients in the Indianapolis, Carmel, Brownsburg, and surrounding areas, as well as nationwide. We ship anywhere & work with clients remotely quite often. If you're not local to us, we can easily set up a phone consultation with you! Have you caught on to the latest trend in wedding stationery? These pretty little booklets are the perfect spot to keep your vows written, so you don't misplace them before the ceremony. Not only that, they are such great keepsakes AND make for the prettiest details shots! 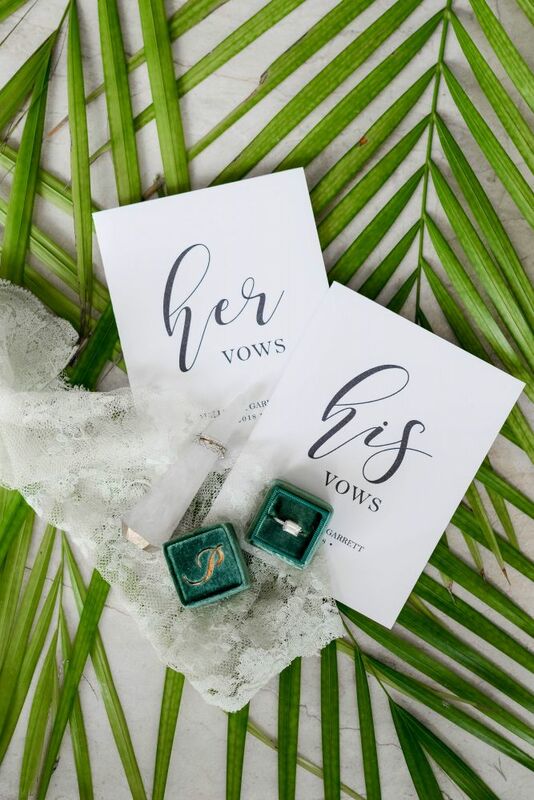 If you'd like to place a custom stationery order for wedding vow books, you can browse our online shop -or- email us at hello@interprintations.com for a custom design request! We can ship directly to you, or hold for local pickup in the Indianapolis area.